Greetings to all Friends, Fans and Future Fanatics spanning the globe! As you know, for the past year we have been regular contributors to the DAILY STAR UK. 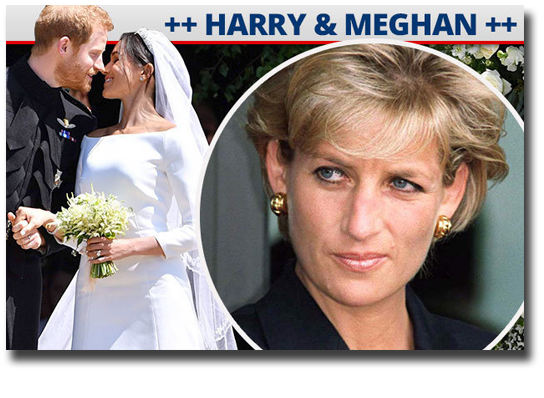 We were excited when the DAILY STAR asked us to channel Princess Diana for their lead story on Harry and Meghan’s Royal Wedding Day! We wound up getting THREE articles that rolled out on the historic day. Here we have transcribed the third and final article, with a link to read the whole piece. This was the wedding of the Millennium, and it was truly stunning. We were honored to be included, and to have the opportunity to channel Lady Diana’s heartfelt messages for the bride and groom. Thanks, Daily Star! Princess Diana has spoken from beyond the grave to deliver a shock warning to newlyweds Prince Harry and Meghan Markle. 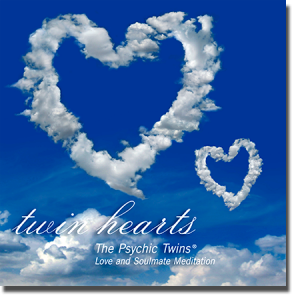 Psychic twins say the “People’s Princess” has asked them to deliver a message to her son and her new daughter-in-law. The newly-named Duke and Duchess of Sussex got wed yesterday in an extravagant £32 million, star-studded wedding watched by millions worldwide. Harry struggled to contain his tears as a stunning Meghan walked up the aisle, but the incredible affair was all smiles as the pair said “I will.” They are now looking forward to their honeymoon and are set to attend their first royal engagement as a married couple next week. 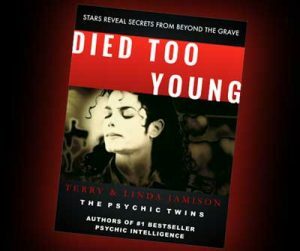 But Psychic Twins Terry and Linda Jamison, dubbed “Nostradamus in Stilettos,” say Diana has spoken to them to reveal her thoughts for the couple’s future. And it’s not all good news. 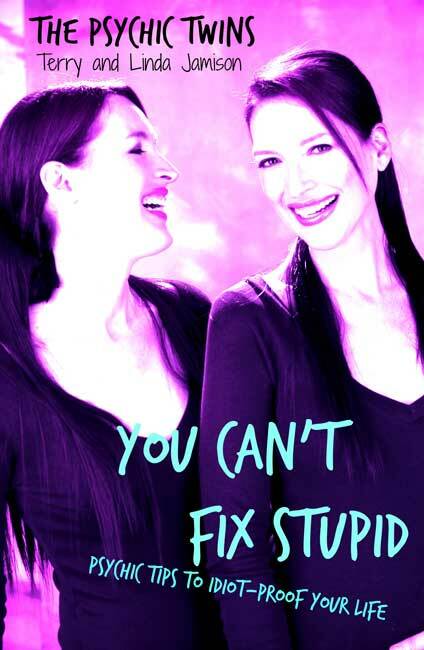 The Psychic Twins say Diana warns Harry and Meghan of “turbulent” times ahead, with “threats” and “betrayal” potentially derailing their marriage. But she also hears the patter of tiny feet, and reckons the smitten pair have what it takes to “do me proud” and pull through. The twins have now revealed Diana’s message to them. They said: “Harry, I am delighted that you have found a lovely young woman who shares your passion to make a difference in the world. All eyes will be on you in the coming months and years, scrutinising your every move and misstep. I pray that, through the trials, your faith will be made stronger. “I see turbulent times ahead for you both. People will try to demean you and diminish your bright light. You must not let others steal your souls. You are in exactly the right place at the right time to help shift paradigms about social issues such as racism, children living in poverty, and the women’s movement. The Markle family will be in the news more than the royal family wants to believe. Meghan, your half-sister and half-brother will continue to cause problems for you, and the trouble will no doubt escalate. There will also be threats from outside the family, trying to create division and instability. There will also be royal family members and close allies who will show themselves not to be loyal. Your lives will literally become a tempest in a teapot. “I was also criticised for breaking the rules and modernising the monarchy. The royal family was jealous of my popularity, and I think this will continue to be the case with you both, Meghan and Harry. You will receive much unwanted attention for the slightest things. The narrative is changing. I will be an angel on your shoulders as you carry my legacy forward with your charity work, raising awareness of social injustices. Both of you will continue my philanthropic work for years to come and inspire many people to donate generously to various causes, which are also dear to my heart. “Meghan, your acting career prepared you for this role. Strive to live a meaningful life in spite of the media and naysayers. Being role models on this high platform will challenge you to the core. But, as long as you stay unified, you will rise above every difficulty that presents itself. “I am hopeful. I see at least two children who desire to be born into the world, and you will be loving and devoted parents to them. The comments come just 24 hours after Diana told the twins she would be “attending” the wedding in the form of a butterfly. Then, bizarrely, during the ceremony a large fly was seen in video footage buzzing around Meghan before landing on her cheek! I just adore you both. I completely think that your skill or gift is amazing and you both are amazing human beings. I don’t want to sound cheesy, I’m just amazed at how amazing you guys are and how beautiful you both are. I just love you guys so much!! You girls deserve every reward given to you! You two are the rarest diamonds on YouTube! Love you girls. Congratulations on your YouTube silver play button trophy, girls! So exciting to see the unboxing! I am so proud of you two!! I’ve said this sooo many times before but I’ll say it again– you’re so talented and authentic and inspire so many. Keep it up! Love from London! So grateful I found your videos! I’ve been sharing them with my sister & we are addicted! We relate to you SO much. I’ve been praying for refreshment & your channel has recharged my soul. ONE Love! I love how woke you guys are about this world. Thanks for helping our new YouTube Channel become the fastest-growing of all time! We now have nearly 720,000 subscribers! You are angels among us. If the government was clever you could be President Obama’s best advisors! You are miracles and an amazing inspiration. I just wanted to say how truly grateful I am to both of you for your empowering words of hope, wisdom, and faith. I cannot begin to explain to you how much your book “Psychic Intelligence” has enlightened my life, and in the process, the lives of others. You teach of happiness and love and live by it as well, and I appreciate your sincerity and generous hearts. I have watched every show you two have been on. You two have such a wonderful spirit and a great sense of humor. Thank you for your beauty, grace, and spirit. Psychic Intelligence By Terry and Linda Jamison is one of the best books I have ever read! We are all psychic, and this book shows you how to tap into it step by step! My 16-year-old daughter is reading it now and she has found out she has more abilities than she thought she had and has also gained new psychic and spiritual abilities that I’ve noticed. Terry and Linda have helped awaken more of my child’s psychic abilities and I am very grateful for this. I am just simply fascinated! I highly recommend this book for Oprah’s Book Club! On a 1 to 10 scale, I say10 hands down and over the top! !